Have you ever heard of Face Changing Art of Sichuan Opera? 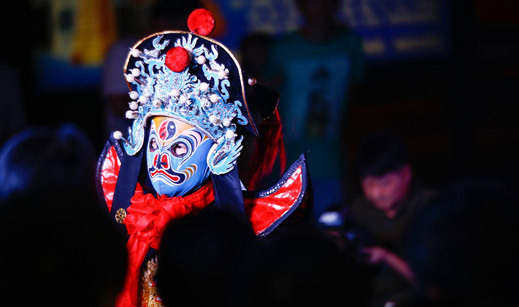 Face Changing is one of the stunts in Sichuan Opera, and it’s used to reveal the characters’ emotional changes. That means using mask (a visible and sensible concrete image) to express the invisible and imperceptible abstract emotion and psychological state. When the actor performs Face Changing, he will tear off, rub or blow away the mask on his face to reveal another mask during the performance. The special masks are made of gauze and elastic materials and they will be painted with different designs. Then the masks will be assembled with a special transparent thread and be pasted onto the actor’s face. Normally, you can watch Sichuan Opera and Face Changing Art in some opera theatres. Those theatres will require a ticket to entry. But now, you can watch the Face Changing Art and some other stunts in Sichuan Opera in Chunxi Lane (Tang & Song Food Street) for free. 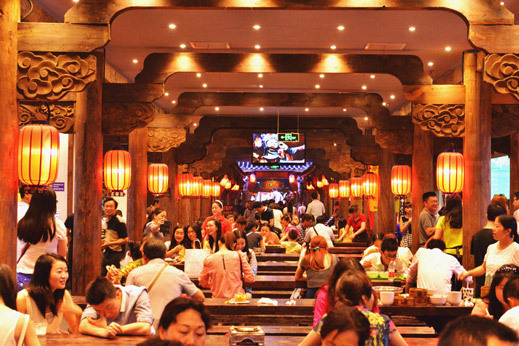 Chunxi Lane is opened at 2013 and is located near the Chunxi Road, and it’s a food street where you can eat Chengdu local snacks and other flavors, like Thai cuisine and western food. 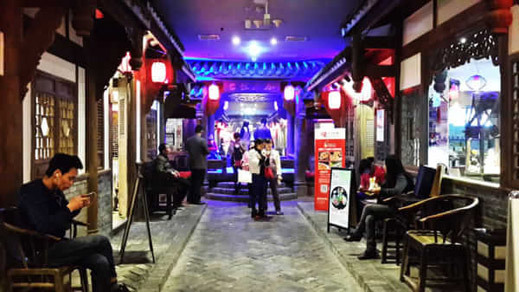 Chunxi Lane is an inner street, and the whole street adopts antique architectural style. 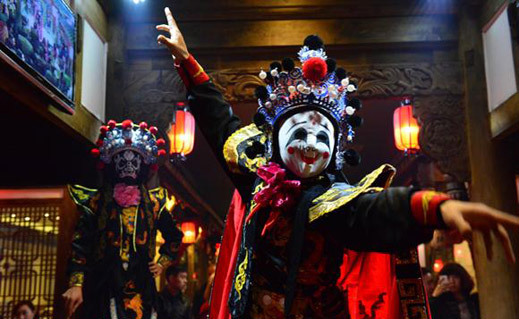 Every night from 18:30 to 20:00, there will be free Sichuan Opera and Face Changing performance on the stage in the Chunxi Lane. The stage is in the middle of Chunxi Lane. People can watch the performance at a very close distance. 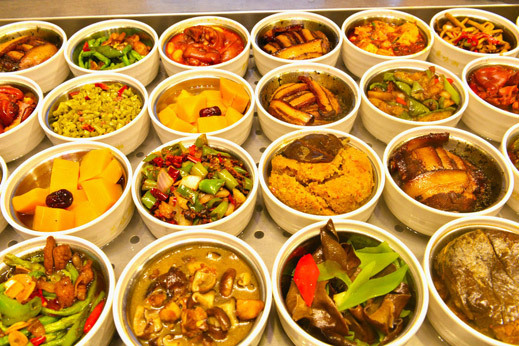 This is a great place to taste the local flavors, watch the essence of Sichuan Opera and experience the local leisure life. This entry was posted in deals&news and tagged Chengdu, Chinese Culture, Face Changing Art, Sichuan Opera by Travel Expert. Bookmark the permalink.